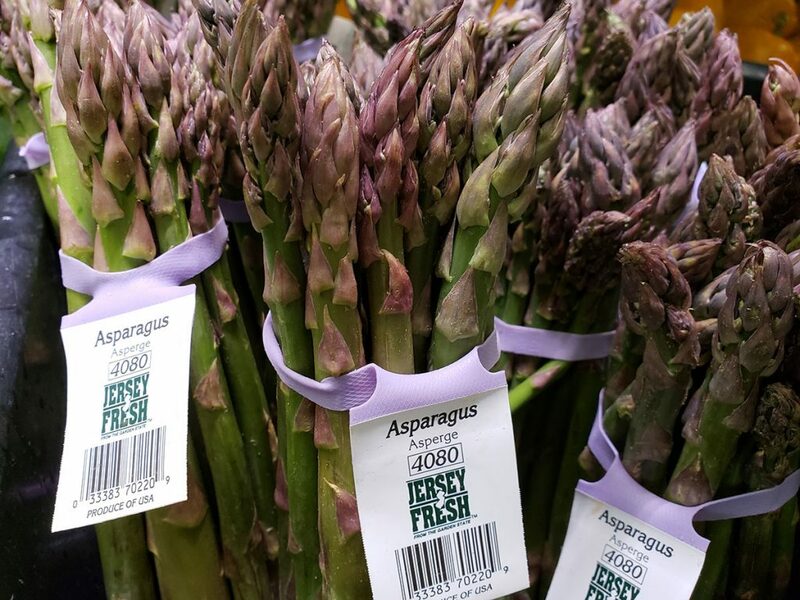 Once dubbed the “Vegetable of Kings,” even King Louis XIV’s affinity for asparagus was so passionate he had them cultivated in greenhouses so he could enjoy them year round. The Greek Physician Galen touted the health benefits of asparagus during the second century AD and his claims hold great truth with this vegetable that’s low in calories and a good source of vitamins, minerals, fiber, and protein. Preheat the oven to 425 degrees Fahrenheit. Snap off the woody ends of the asparagus (if you sharply bend the asparagus near the base, it will snap in the right place). Discard the ends. Line a large, rimmed baking sheet with parchment paper for easy cleanup. Place the asparagus on the sheet and drizzle with 1 to 2 teaspoons olive oil, just enough to lightly coat the asparagus. Sprinkle salt and pepper over the asparagus, and toss until the spears are lightly coated in oil. Arrange the spears in a single layer on the pan. Bake until the asparagus is tender and roasted to your desired level of doneness (I may have left mine in a little longer than necessary, but I like the crispy tips). Very thin asparagus, like the kind shown here, will take as little as 10 to 12 minutes, whereas thicker asparagus will need 15 to 20 minutes. Transfer the roasted asparagus to a serving platter and season however you’d like. You could keep it simple with a squeeze of lemon juice, or just Parmesan, or add a pat of butter or drizzle of balsamic vinegar. For my variation here, I grated the zest of about half a lemon over the asparagus using a Microplane, then squeezed the juice of half of a lemon over it, and garnished with a few lemon wedges, for good measure. Then I grated some Parmesan over the dish, followed by a light sprinkle of chopped mint and a very light sprinkle of red pepper flakes.